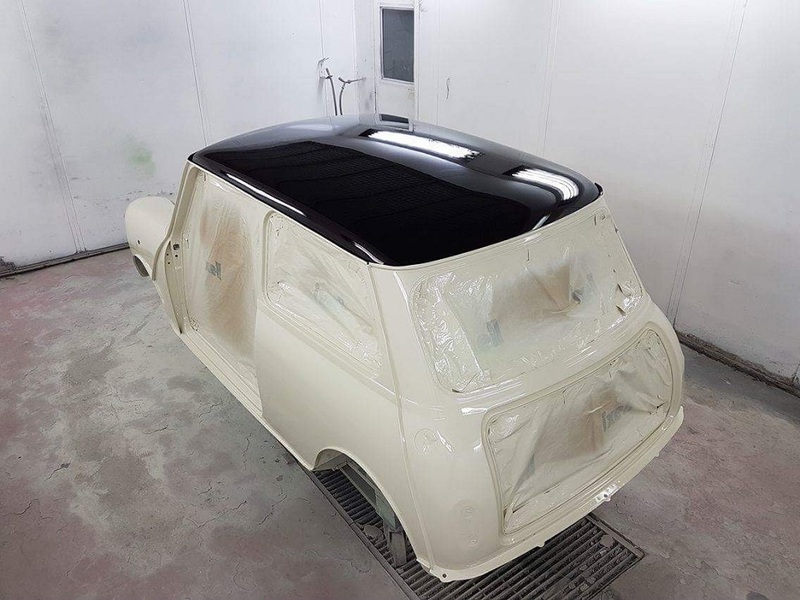 This Mini restoration had been stripped by the customer to a rolling shell by the time it reached The Real Mini Company workshop in Oxfordshire. 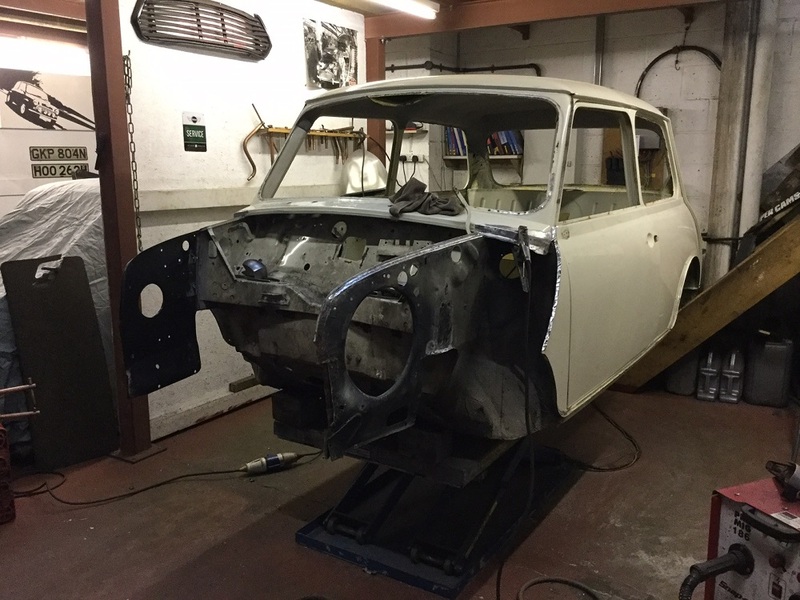 This is where our skilled restoration team got to work changing it from a 2000 injection spec to a carb with inner wing replacements, full front end, door skins outer sills before converting to MKI rear light units. The Mini was originally imported from Japan and was still surprisingly fairly original and solid. It then underwent a full prep and was painted in old English white with a VW Blackberry roof which looks fantastic when the sunlight catches it. We have fitted the new powder coated frames with all new bushes and bearing, new hilos, headlining and wiring loom. 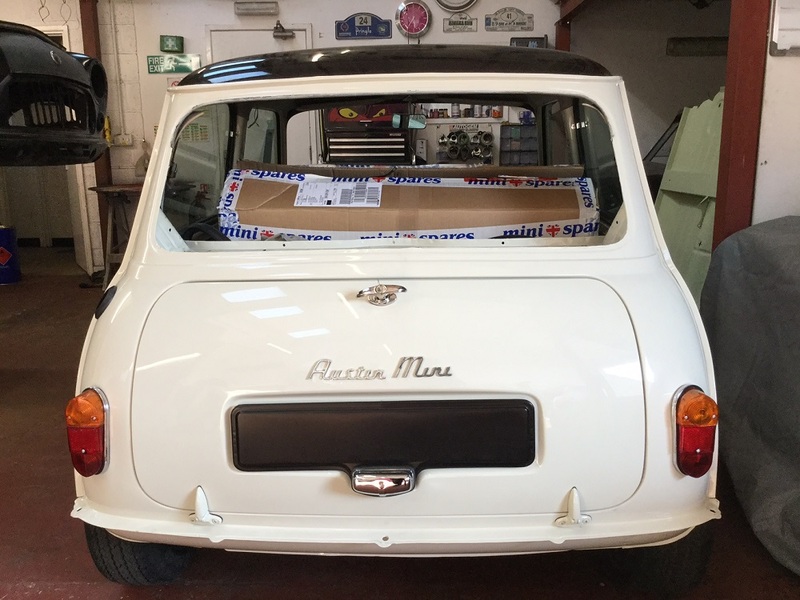 We also built the doors, the MKI style boot lid and rear lights, new door mirrors, retro fiat 600 side repeaters and the windows. The car is now being delivered for the customer to finish the engine bay and interior.